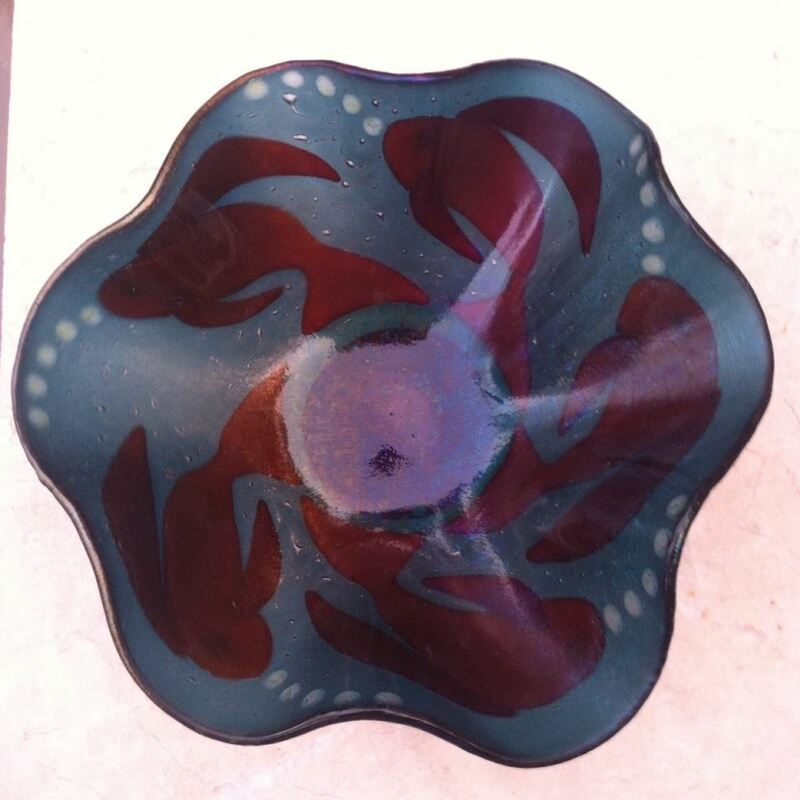 Committed to Memory — Fused irridized glass. To truly appreciate this fish, I have created a video of it which I can share with you if you are interested. Koi-oi-oi! 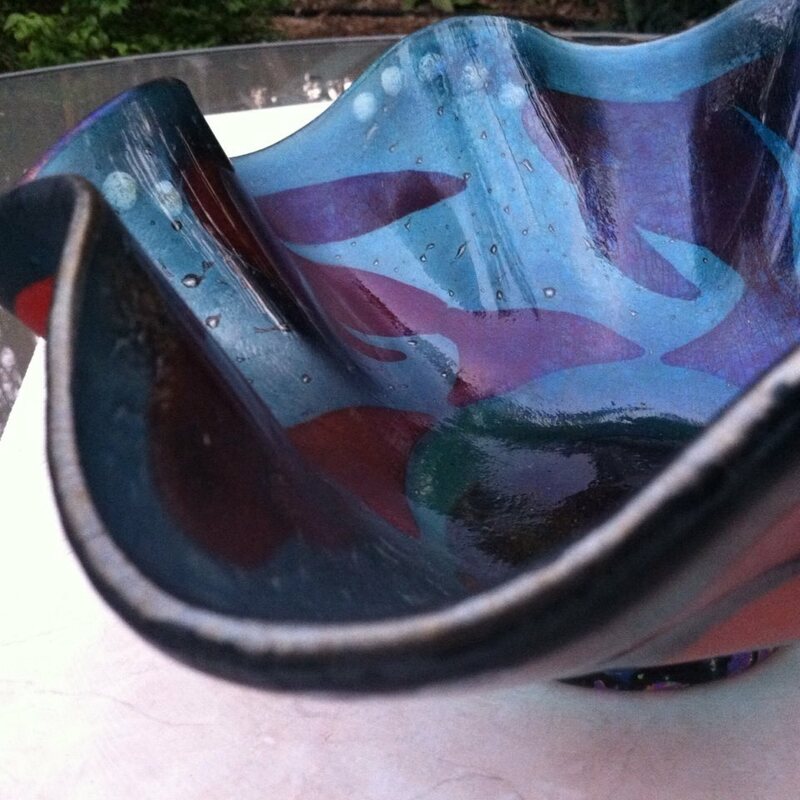 Detail showing fish from outside of bowl. Koi-oi-oi! 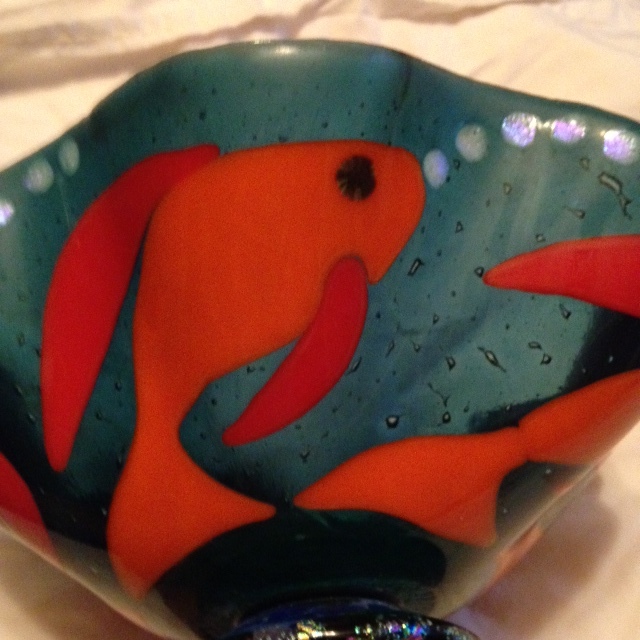 Five orange fish blow dichroic bubbles as they swim around this iridized blue bowl. Koi-oi-oi! as seen from above. 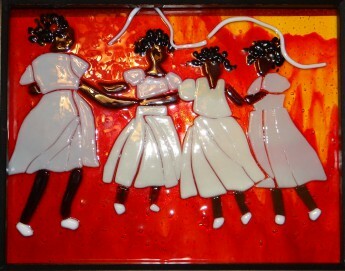 Four Sisters — Dancing together in the heat, four sisters live, laugh, and love! 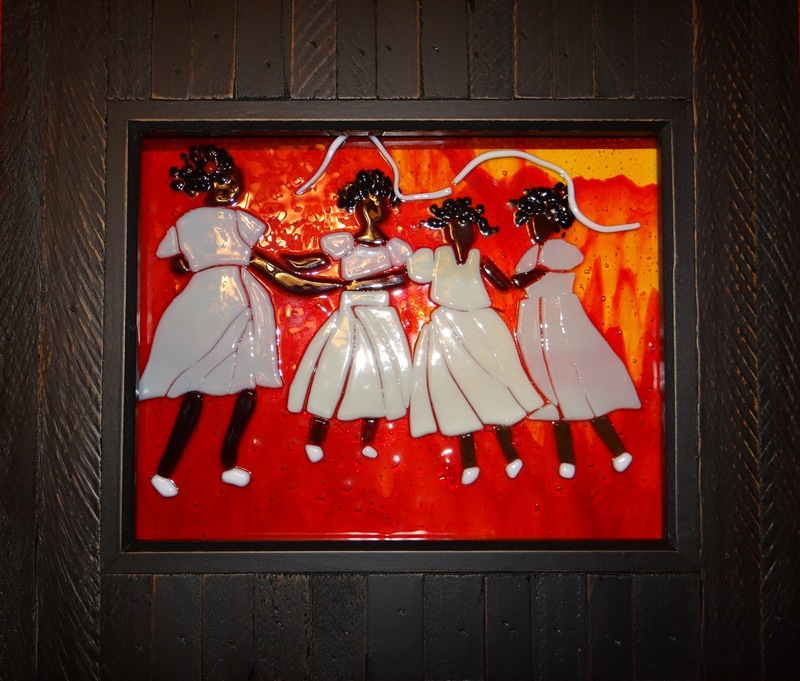 Winner of an Honorable Mention award at Sugar Sands Park Summer Breeze contest 2014. 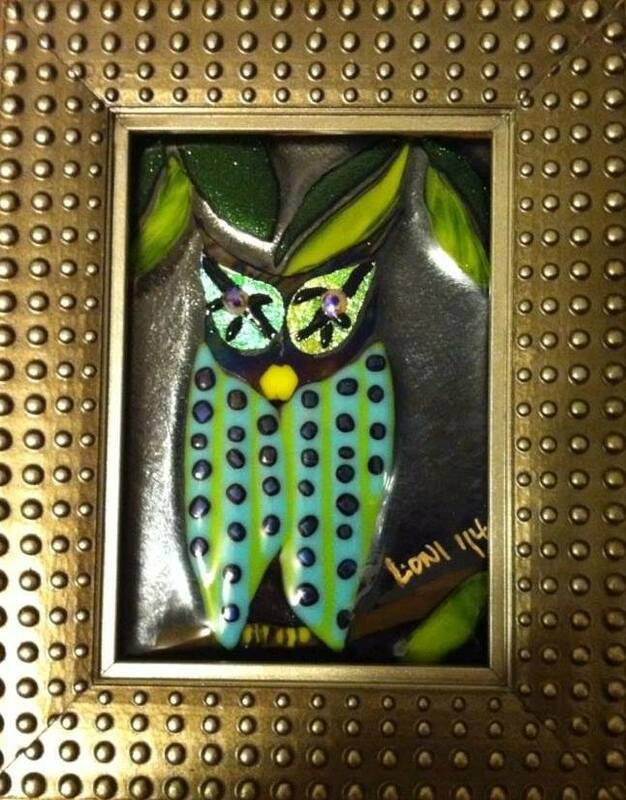 Green and blue owl with Dichroic eyes that glow in low light conditions. Wise! 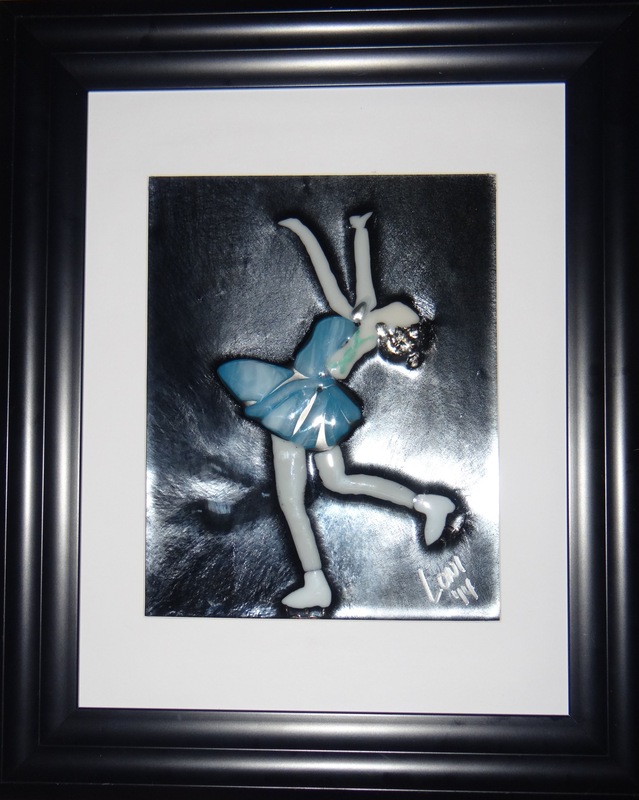 Legs of Steel — Fused glass ice skater on a silver iridized black background. 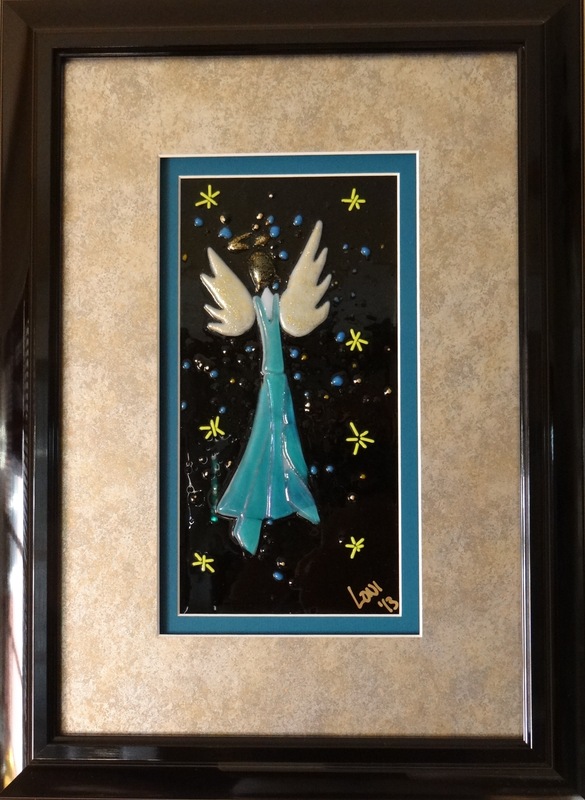 Blue Angel — My first fused glass creation. Is it any wonder why I fell in love with this art form? 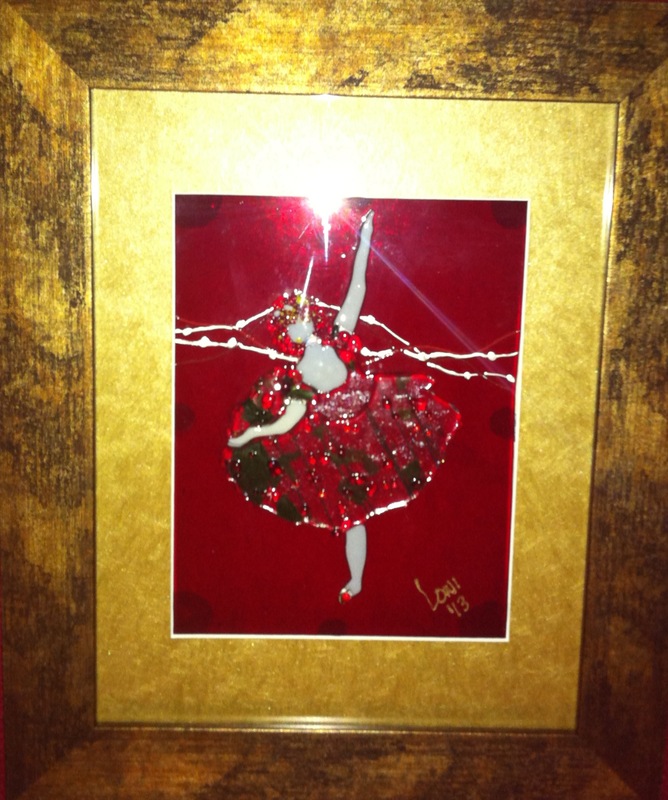 Nutcracker Balleriina–This ballerina is daintily balanced on a red background that adds color to her Christmas colored dress. Inspired by Degas’ ballerinas.